Exit 9 is a very active area on East Main Street. We maintain a beautiful garden right on the exit for commuters to enjoy as they travel. The EastSide Partnership beautifies the wall on orange street. Orange street is a commonly used street by a variety of different pedestrians on the daily basis. Orange Street is a peaceful street that intersects into Lockwood Ave. It is commonly used by students and residents of the area. The street suffers from litter which makes it uncomfortable for pedestrians. 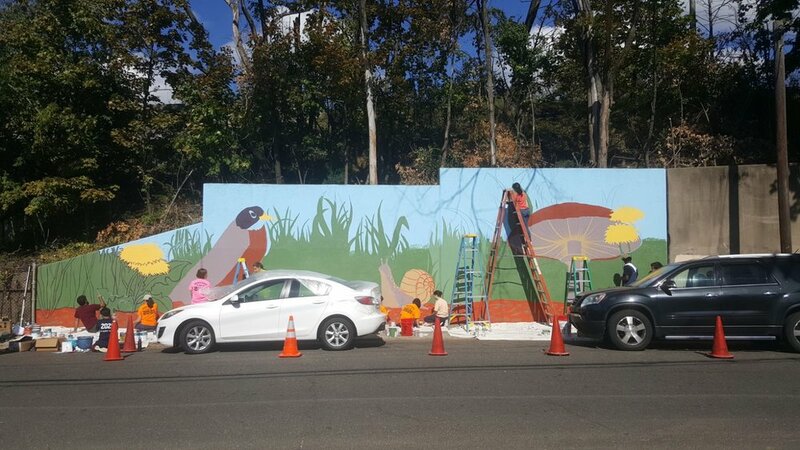 In an effort to beautify and clean the street The EastSide Partnership has painted a mural on the wall and trimmed the overgrown plants. The mural on the wall is a picture of a bird hidden in the tall grass, with other organisms that co exist in the area. The EastSide Partnership beautified the wall on Crystal street at the corner of Previl Road. 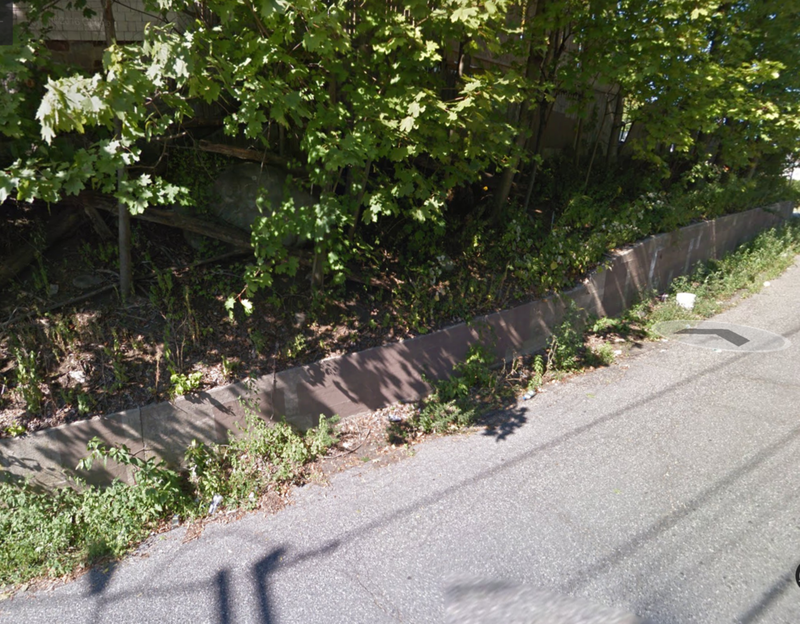 The area is well travelled as a cut through for pedestrians and vehicles including many students but the corner was a major spot for illegal dumping. Since the installation of the mural littering and dumping has all but halted. In an effort to beautify and clean the street The EastSide Partnership has cleaned the street specially the wall. After the cleaning the wall was then primed and painted. The painting is a picture of vines, and flowers.